1st Both going to the hunting post orreturning to the car, after the hunting, gunsmust be unloaded and encased. 2nd In case that there are more than one hunter in the samehunting post, onlyone gun will be allowed to carry to the post. 3rd At least one of the hunters in each post must wear a reflective jacket, reflective hat or reflective bracelet with the aim to make him visible by the companions of hunting over the mountain. 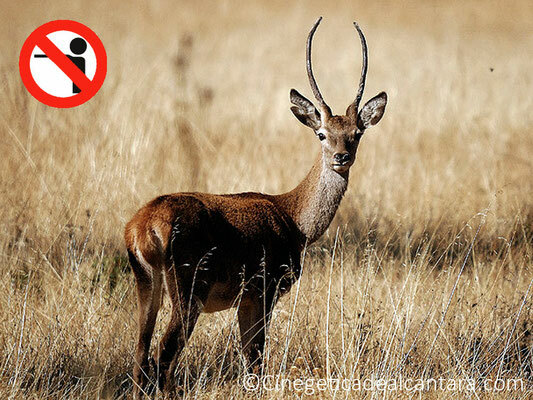 4th It is totally forbidden improving, moving or leaving the hunting posts aiming to search for the animals that may have been shot or injured during the celebration of the hunting. The wounded animalswill be searched when the hunting day endsand the guide returns to pick up every hunter. 5th Every hunter must check where the nearest hunting post arelocated,on his right and on his left, in order to be sure that they do not shoot in these directions. Safety rules on shootingmust be applied on the highest level of demand, recalling that guides, dogs and their owners, mule’s caregiver and guards may behidden in the vegetationon anyplace. Therefore, it must never beshootedto the horizon oranything that has not been identified with nodoubt. 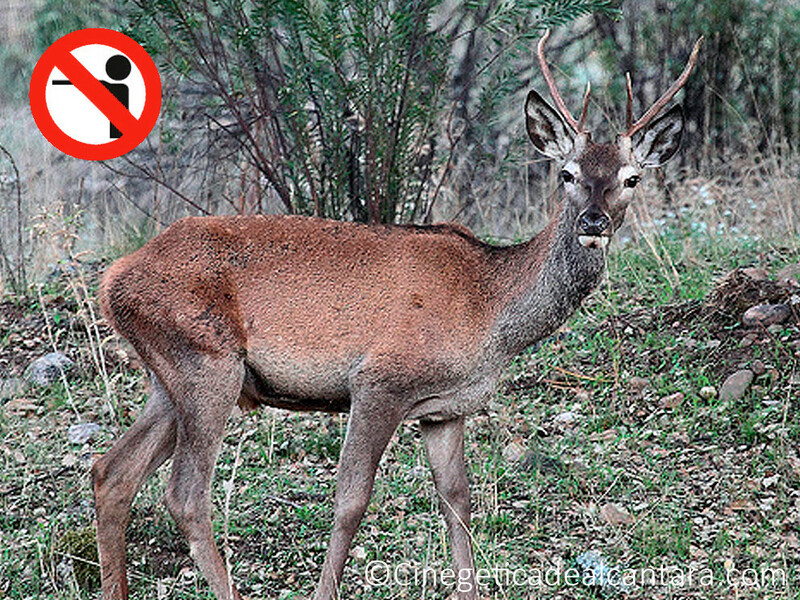 6th In casethat some animals are wounded or caught by dogs close to the hunting post,you must warn huntersaround yourself that you are going to leave your hunting postin order to kill the wounded animal. 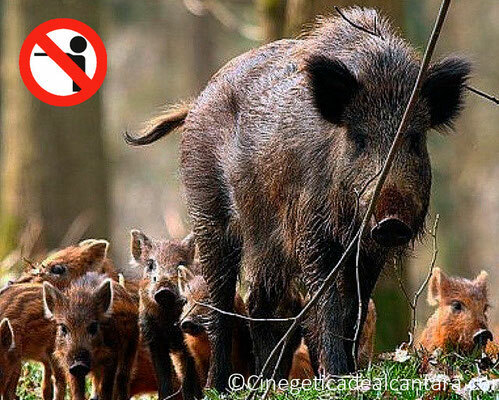 If you are notsure that you can kill the wounded animal with his knife by yourself, you mustwait the arrival of a dog sitter or another hunter; it is totally forbiddento shoot a wounded animal caught by the dogs or to put the dogs asideof the injured animal to perform the shot. To kill an animal caught by the dogs you always have to use the knife. 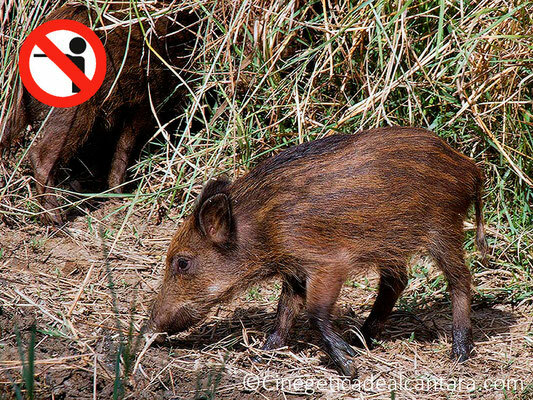 7th You always must respect the quotas established and you mustn’t kill protected species,small deer and wild sow followed from offspring. The best hunter is not who kills more animals but rather who knows how to hunt. 8th In case of arguing with another hunter due to the ownership of a hunted animal, the argument should be solved in the countryside with the hunting guide, never in the house. If there is notagreement, the captain of theMonteríawill be calledand hewill research the shot until the hunted animal and will give the ownership following the law on Montería of first blood. You must not forget the good manners, the hunting is respect and beingpolite above all. 9th You never mustshootwhenthe Montería is ended, this fact can mislead the dogs who are returning to the base and can injure the auxiliary staff who walk recollecting hunted animals. 10th When the Monteria is ended every hunter will mark his hunted animals placing a visible sign in the place where they are. The emplacement of each hunted animal must be indicatedin order to make easier their collection. 11th The trophies will be cut only when the hunted animals are moved to the meeting place. 13th Every hunters must have insurance, licenses and gunslicenses required by current legislation. Failure to comply with the REGULATIONS entitles CINEGÉTICA DE ALÁNTARA to rescind the contract. In this sense, the attendance to this day or the remaining days until the end of the contract will be forbidden and the 30% of payment will be withhold in term of compensation and damages. 1st The Montería results are random and may be subject to circumstances beyond the purposes of organizers and owners. No one can guarantee a specific result, so valuing a Monteria based on the number of hunted animals is not fair.You should take into account another factors such as the organization, peers,quality of the dogs; in total, the shared experience. 2nd You must arrive on time to the meeting, introducing yourself to organizers and companions. Pay attention to the instructions and the assignment ofhunting posts and do not delay the hunters’ leaving. 3rd Ensure that the company in the hunting posts is as less as possible, targeting to reduce the risk of accident. These peoplemust be quiet to not disturb the rest of the hunters of nearby posts. 4th The walk to the hunting post must be done quietly, makingas lessnoise as possible in order tonotwarn the animals on this area, taking advantage of possible chances while the rest of the hunters are placed. 5th In the hunting post, stillness, silence and a constant observation are the best tools to get a good result. Since we arrive to the hunting post until the guide picks us is considered hunting. When you least expect it an animal that attempts to come out without being seen appears. In order to obtain a good result you should pay the most attention as possible during the entire hunting. 6th Let the animals get closer to the hunting post. You must shoot only when you are pretty sure that you are going to cause an instant death, without suffering. Shooting to long distance usually leaves wounded animals that do not die at the moment, causing them an unnecessary suffering. Hunting is much more than pressing a trigger, it is ethic and respect. 7th You must value the dogs’ job during the day. Enjoy the end of day with the owners of the dogs. The hunting is much more than only shooting.